Hi, I’m Amanda. I live in Wolverhampton with my husband and two young boys, Adam and Callum. I am a qualified primary school teacher. I taught for 9 years across foundation stage, KS1 and KS2. After having my second child, I decided to leave teaching for a while and spend more time with my family. I wanted to make the most of my time with the boys while they were young. When I came across Little Learners, I knew this was the perfect opportunity for me. I loved the unique way of teaching mark making through messy play. 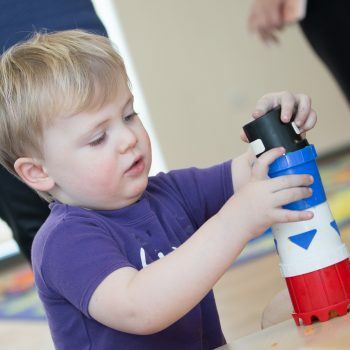 I believe that babies learn so much through play, and by adding mark making, they’re achieving so much within a session. I have loved helping my little boys to make their marks, and I understand how important their early writing development is. I’m so lucky to be part of Little Learners! 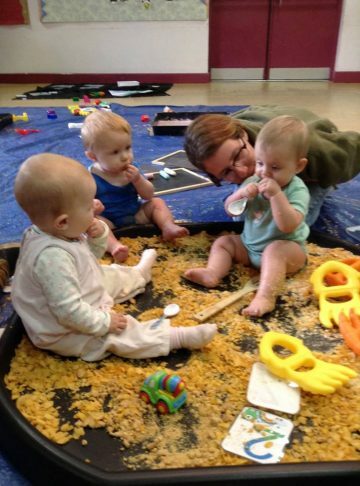 I love helping children to make their first marks and develop new skills through messy play while having so much fun! It is so rewarding to see children develop new skills. Classes are mixed ages and are suitable from 5 months to 5 years old! Currently, I have weekly sessions and events at Portobello Community Centre in Willenhall. Events: Saturday 9th March at 1.30pm we have a Peppa Pig Event. 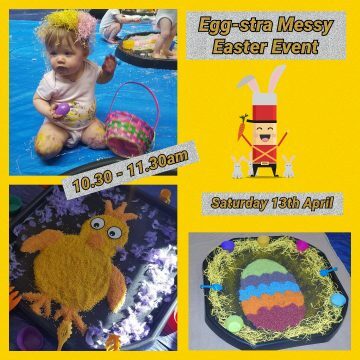 Saturday 13th April 10.30am we have our Easter Event. Did you know we can tailor our parties to your child’s interests or favourite characters? 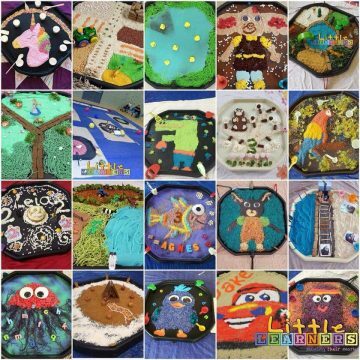 Popular themes include Peppa Pig, Dinosaurs, Super heroes, under the sea, Paw Patrol, animals or you can just go with the ‘Super Messy’ theme. A ‘cake smash’ is also a very popular choice which can make fantastic opportunities for photographs. You can be as creative as you want or just leave it all to us! The party room will be set up with themed messy trays, painting, drawing stations, play dough and other activities to suit chosen theme. All you need to do is find the venue; I bring the equipment, lead the session and tidy away afterwards! 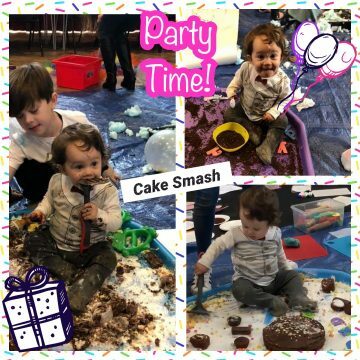 Our party packages start at £120 for 15 children, and this includes a cake smash if required! We sell Little Learners clothes and Zimpli & Crazy Soap Products! In class, we sell Little Learners T-Shirts, Vests and Gym bags. Also, we sell a range of products from Zimpli and Crazy Soap; this includes Slime Baff, Gelli Baff and Crazy Foam Soap that we often use in classes and at events. 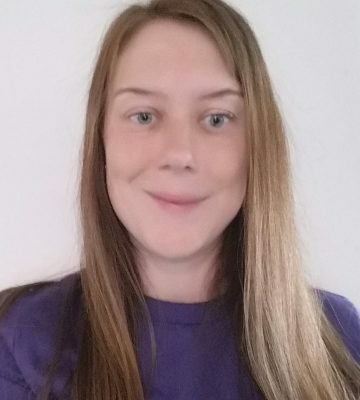 I am so proud to have received such lovely reviews from people who have attended Little Learners Wolverhampton sessions. We had a fantastic time at little learners in Willenhall Park yesterday watching our son for his first time with messy play. It was lovely to see all the other children having so much fun to. Amanda who run the event is a lovely lady and did an amazing job putting activities on for all to enjoy. We will be looking forward to upcoming & future events & classes, thank you x – Natalie (who attended with her 17 month old son). Me and Johnny had a great time at little learners first event. 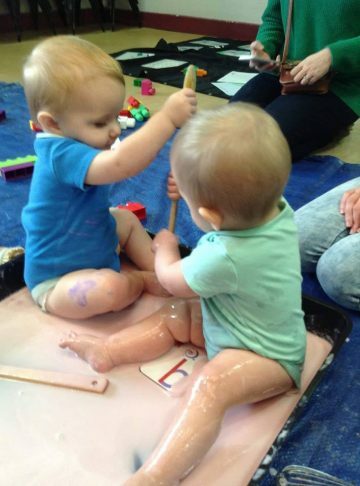 It was Johnny’s first messy play and he enjoyed it. Can’t wait for future events with little learners. The girls were so friendly and interacted with everyone. Thank u for a great day and well done – Julie (who attended with her 10 month old, Johnny). Had a great time yesterday taking our little boy Harrison to his first little learners event at Willenhall memorial park. It was so nice to see our little boy enjoying himself while mixing with other toddlers in a safe environment while learning at the same time. 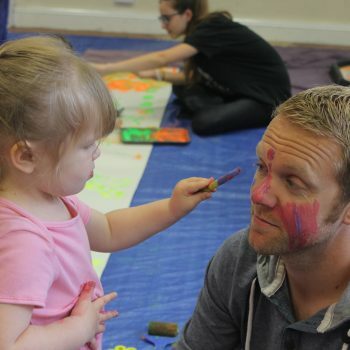 Would highly recommend to parents with young toddler to attend future events and look forward to doing so ourselves – Martin (who attended our first Park session with his 17 month old, Harrison).